Many of you know that many years ago I moved to southern California to escape the harsh and cold winters in Boston. If I haven’t told you the story about the divine intervention that led me to CA the next time I see you I will gladly buy you a beer or coffee to share my tale with you. Knowing that my goal was to escape the cold weather you can only imagine how shocked I was on Tuesday, February 17th when I opened my garage door and the driveway and car were covered in what I thought was snow. Having moved to California to escape these white flakes you can imagine the chill that ran through me. As it turns out, it was small hail, however, it had literally covered the ground with a white layer reminiscent of snow. Despite this temporary shock to my system I am now turning my sites on spring which I hope will be here soon. 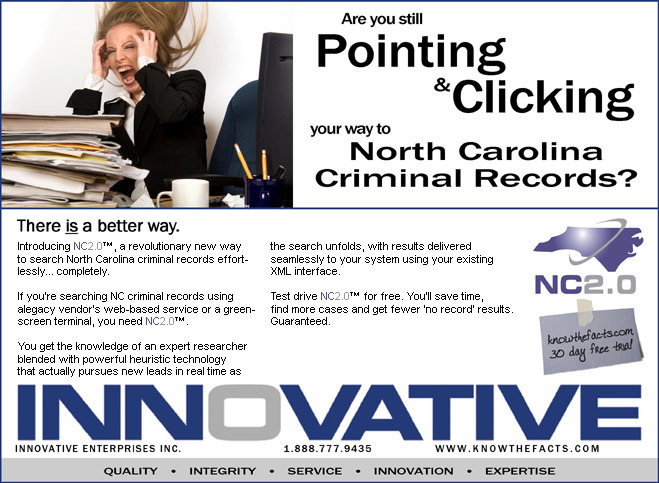 I thought you would be interested in knowing that we are about to launch a new Background Screening Industry Survey to identify the type of challenges that business are facing with background screening, gauge their level of satisfaction with background screening services and the innovations that they would like to see in background screening practices. Along with the distribution of the survey to HR Managers we have created a unique marketing opportunity that we are announcing to the Platinum Members of PreemploymentDirectory.com. We also want to invite you to visit us at the upcoming NAPBS Conference in St. Louis and have some specials planned that you will not want to miss out on. Besure to put us on your ‘must visit’ list. Finally, I want to close by sharing a quote that caught my attention “Success favors the prepared mind.” (of all places it came from a Steven Segall movie) The statement really resonated with me because in the challenging times we are facing it is no time for slacking, you need to make sure you prepare yourself to ‘step up your game’ so you will be one of those that not only survives the current hard times, but comes out of it even stronger. Thanks for reading The Background Buzz and have a fabulous month! In recognition of the economic power of privately held businesses, DiversityBusiness.com, the nations’ leading business-to-business internet site, recently named Accurate Background, Inc. as one of the top businesses in the United States. Accurate Background, Inc ranked on both the Top 100 Diversity Owned Businesses in California and the Top 500 Hispanic American Owned Business List for 2009. This is the 9th annual listing of the nation’s top businesses by DiversityBusiness.com. Rang- ing in revenue size from $20 million to over $2 billion, the companies listed on the Top Business Lists represent the nation’s top multicultural earners and challenge the long-held notion that a privately held business is small or insignificant. Winners are sought after by major corporations wishing to increase spending with small businesses. The winning companies will be honored at a special awards ceremony at DiversityBusiness.com’s “9th Annual Multicultural Business Conference”, taking place April 29 – May 1, 2009 at the Disney’s Contemporary Resort in Orlando, Florida. 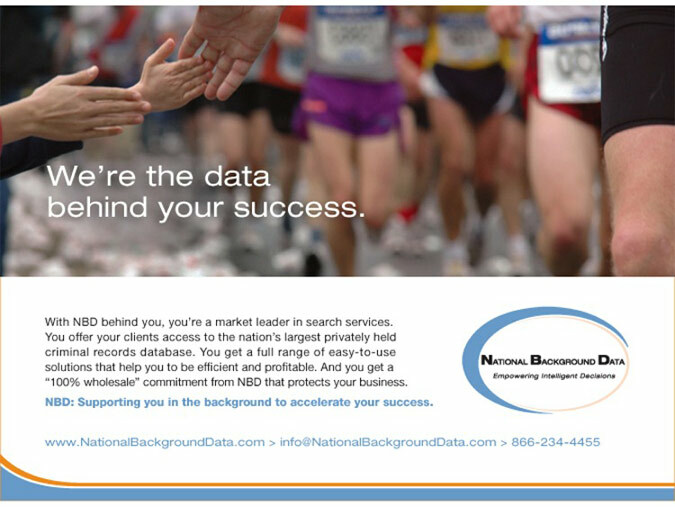 For the complete list of winning companies, please visit: www.diversitybusiness.com or For more information about Accurate Background visit their web site at www.accuratebackground.com. KRESS Employment Screening has announced a plan to offer clients access at no cost to the Consent Based Social Security Verification (CBSV) service and the E-Verify program offered by the Social Security Administration (SSA) and the Department of Homeland Security (DHS) respectively with the purchase of a standard background check package. These programs give employers an opportunity to match social security numbers, names, and dates of birth and, even, indicate if an employee is eligible for employment in the US. employers to post a copy of Article 23-A of the New York State Corrections Law in an area that is largely visible to their employees. Mass layoffs and other cost-cutting measures have become the norm in early 2009, and that won’t change in February for both the manufacturing and service sectors, according to the Society for Human Resource Management’s (SHRM) Leading Indicators of NationalEmployment (LINE) survey. February hiring expectations are at four-year lows for the month. Compared with a year ago, hiring in manufacturing is down by more than two-thirds and by more than one-third in the service sector. Recruiting difficulty was virtually nonexistent in January. Among those in the market for top-level talent, very few members of the manufacturing and service sectors report having problems. 79% of respondents employ an applicant tracking system. or will soon have one deployed, or are considering one. For some, it’s hard to even imagine the old stacks of resumes and bulging file folders of applicant information. About 57% of respondents use online prescreening and assessment to sort through their job applicants continuing their gradual penetration into the mainstream of recruitment and hiring. Qualifications screening, personality inventories, and skill and technical certifications continue to be the most pop- ular online assessment tools. Assessments of cognitive abilities as well as fit with the company culture have ex- panded their footprint as well. There clearly is a growing interest in scientifically derived hiring tools. This trend is encouraging but not particularly surpris- ing; these numbers will continue to grow as more organizations understand the value in properly evaluating the impact of screening and assessment tools, seeing for themselves how quality hiring tools can improve a workforce. Identity theft rose by nearly 25 percent last year in the United States, according to a new report JUSTE released by Javelin Strategy & Research. The 2009 Identity Fraud Survey Report shows that the number of identity fraud victims increased 22 percent to 9.9 million people being hit, at a total cost of $48 billion. According to James Van Dyke, president and founder of Javelin, this is the first year since the report began in 2004 that the numbers have gone up. "The industry was surprised at the whopping size of identity theft when it was first studied in the early part of the millennium, but it was beaten back strongly. But now, with the tough economy, criminals have become more desperate, and identity theft has gone up for the first time since we began tracking it," Van Dyke says. There’s a lot of debate about what companies should say when they’re asked about former employees. Here’s one big rule to keep in mind. Have a policy and stick to it. One of the big legal risk is being charged with discrimination. If most employees just get a neutral reference confirming titles and dates, but one manager strays from the norm to bash an ex-employee, there’s a chance he or she could say it was based on race, gender, religion, etc. Same goes if a manager refuses to give a reference to one former worker be- cause of membership in a protected class. Consistency is the key. Another pitfall for employers to watch is the “negligent reference” — when a company fails to warn the new employer about a threat posed by the worker. In one recent case, an ex-employee got a glowing reference despite being fired for conduct that put people’s lives in danger. The company was sued and lost. a) At the time the disclosure/authorization for is presented for signature to the consumer regardless of the type of consumer report requested. c) At the time the disclosure/authorization for is presented for signature to the consumer only if the employer requests an investigative consumer report and if the consumer report contains a "hit"
d) At the time the disclosure/authorization for is presented for signature to the consumer regardless of the type of consumer report requested and at if the employer is planning on taking adverse action. 1. Basing prices on costs, not customer perceptions of value: Pricing based on costs invariably lead to prices that are too high or too low. 2. Basing prices on “the marketplace”: Management teams must find ways to differentiate their projects or services to create additional value for specific market segments. 3. Attempting to achieve the same profit margin across different product lines: For any single product, profit is opti- mized when the price reflects the customer’s willingness to pay. Downturns present strategic opportunities for well-positioned companies along with the inevitable risks. Your most powerful moves in a downturn depend on where you stand on the three critical dimensions--industry volatility, strategic position and financial position. If your company has a strong financial position, for example, you may be able to out-invest competitors in marketing to increase customer loyalty. You may be able to attack or even acquire weaker competitors. If financial resources are scarce, you face a different set of possibilities. Depending on your strategic position and your industry's volatility, your best options may be to divest noncore assets and restructure the balance sheet, or to accelerate decisions around reducing cost and debt. You may need to seek alliances or mergers partners and dispose of anything that is not essential to survival. So where do you stand? Should you lighten the load? Refocus and retool? Or is it time to extend your lead? As conditions change, you may find it helpful to return to the diagnostic and re-evaluate your options. The number of companies and industries requiring drug screening for employees is on the rise these days despite some con- cerns about those tests being an invasion of privacy. "It's a lot more common than it used to be," said William Webb, director of Oasis Behavioral Health Services LLC in Barboursville. "... Primarily, it's about safety and productivity. When people are identified early enough, they can be rehabilitated and saved." The discussion about workplace drug testing has intensified re- cently as boards of education, including some in West Virginia, consider adopting or expanding the practice. An estimated 14.8 million Americans are drug users, according to statistics from the federal Substance Abuse and Mental Health Services Administration. SAMHSA also estimates that 77 percent of those users are employed, meaning about 9.4 million U.S. workers are using illegal drugs. Employers can now view the latest statistics on worker substance use rates categorized by industry and occupation. Industry and occupational data can help employers learn more about how substance abuse may impact their work- force and what types of policies and programs may be most appropriate for their organization. Organizations are encouraged to distribute this information and use these tools to learn how to improve the effectiveness of their drug-free workplace efforts. The International Resource Center is a valuable resource resource for anyone looking for information on international background verifications, vetting or verifications. CIFAS is the UK’s Fraud Prevention Service with 270 Members spread across banking, credit cards, asset finance, retail credit, mail order, insurance, savings and investments, telecommunications, factoring, and share dealing. Members share information about identified frauds in the fight to prevent further fraud. CIFAS is unique and is the world's first not for profit fraud prevention data sharing scheme. Reid Rodriguez, CEO, Softech Industries is the new Chair of the Latin & South America Subcommittee for the NAPBS International Committee. Reid is looking for volunteers to work with him on the subcommittee to help build an alliance in this region of the world. We have also started an outreach campaign to African Background Screening firms to set the framework for building an alliance in this part of world as well. If you are interested in working on either of these subcommittees please contact me at wbnixon@aol.com. Our Education Subcommittee Chaired by Janet Ackerman has put together another outstanding set of sessions for the conference. Due to the popularity of our sessions we have been given four sessions this year. On 28 August 2008, the High Court in Hong Kong found for Cathay in quashing decisions of (i) the Privacy Commissioner of Personal Data and (ii) the Administrative Appeals Board in respect of Cathay's policy requiring cabin crew to consent to disclosure of private medical records. In November 2005, Cathay instituted an Attendance Monitoring Programme ("AMP"), to investigate why a small minority of cabin crew members had levels or patterns of absence from work, purportedly due to illness. Cathay sought medical and other information as part of its obligation to ensure that cabin crew members remain medically fit to discharge their duties (Directive 360 of the Civil Aviation Directive). The AMP stated that any cabin crew member who did not co-operate and participate in the program could be subject to disciplinary action. The judges found that Cathay, in informing all cabin crew members of the possible consequence of failure to disclose relevant medical records, was doing no more than meeting the requirements of the ordinance and that such advice does not thereby, of itself, constitute a threat or the exertion of undue influence. The application for judicial review was accordingly allowed, and the decisions of the Commissioner and the Board quashed. The Massey University survey on violence in the workplace, released this week, said that healthcare workers and passenger transport workers were most vulnerable to attack. Researchers received responses from 62 employers around New Zealand who reported 143 cases of employees being physically assaulted in the workplace and 254 attempted assaults over the past year. Workload and stress rates, alcohol or drug use, mental instability and harassment were the main risk factors for work- place violence. The practice of checking the background of individuals before hiring them is becoming increasingly popular among corporat- ions in Nigeria. Mr. Kola Olugbodi, the Managing Director, Background Check International, a professional background screening firm shares his thoughts in a recent interview with Jonah Iboma. Mr. Olugbodi added that the implication of falsification of qualifications by individuals is that corporate organisations that employ such persons are gathering an army of individuals that are dishonest and lacks integrity. If someone goes to the extent of forging documents to gain employment, there is nothing stopping the individual from forging documents for promotion or personal gain. Furthermore, someone who lacks the requisite experience and has falsified his/her years of experience will not be able to perform and deliver. This, of course, will affect the output of the organisation. One thing that is gradually creeping into corporate organisations in Nigeria is for them to be sued for the negligence of their staff. Sometimes, losses and damages are paid by such organisations due to lack of experience and misbehaviour of their employees. He further added that his firm pioneered professional background screening in Nigeria and has become the first background screening firm in Africa to become a member of the National Association of Professional Background Screeners. There are several outlined programmes for members and the global networking has also impacted positively on our operations. Research from global risk consulting company Kroll reveals that more than 2m Britons have missed out on a new job opportunity because former employers have delayed or failed to provide them with a reference. Kroll’s Background Screening division has launched a National Reference Register (NRR) to give organisations a referencing system in which employment data from all past employees is centralised and stored electronically. 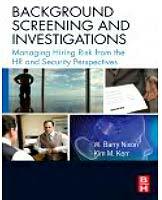 With one in three Britons (35%) claiming they have had to chase their former employer at least once for a reference when changing jobs, Kroll’s findings highlight the backlog in administering references for past employees within the UK’s busy HR departments. The cost of administering employee references can run into thousands of pounds each year for large employers such as those in the financial services, retail, hospitality, professional services and public sectors. London - World-Check today announced the acquisition of IntegraScreen, a leading provider of due diligence services to corporations and governments worldwide. With the addition of International Enhanced Due Diligence (IEDD) reports to its existing portfolio, World-Check is positioned to provide an end-to-end risk management service providing Know Your Customer (KYC) and Know Your Employee (KYE) identity authentication, reputation screening, customized country risk assessments and comprehensive due diligence reports for in-depth analysis, reporting and monitoring across multiple industries. IEDD reports are specifically designed to cater to market needs and provide KYC and business partner screening that meets Anti Money Laundering (AML), Anti Corruption and Counter Terrorist Financing (CFT) compliance obligations such as those required under the Foreign Corrupt Practices Act (FCPA), Sarbanes-Oxley Act (SOX) and the USA Patriot Act. 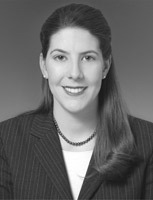 Due diligence reports are essential when: conducting pre-merger and acquisition inquiries and pre-IPO research; entering into a new international joint venture; engaging a critical business partner in an emerging market; reviewing international hedge funds and implementing best practices for regulatory compliance and corporate governance. With offices in 19 locations across 10 countries and over 400 employees, our wider global research network and expanded coverage of emerging markets including the Middle East, Asia Pacific, Eastern Europe and Latin America will undoubtedly provide us with a leading competitive edge”. 1. Implement a strong employee joining and exit process – email and network access needs to be revoked quickly and mobile devices recovered when an employee leaves. New members of staff need only be given access to the resources they need to perform their role. 3. Avoid remedial action – Don’t seek to address a security breach with a point security product but take a systematic approach to the whole enterprise. Controls need to be in place between the user and the data not on the network or gateway. Around a quarter of British workers have lied at interview, according to a Monster poll. According to the poll, 28% of workers admitted lying in a job interview, with a further 14% stretching the truth in the hope of appearing better qualified for a job. Today’s tough job market understandably heightens the temptation for jobseekers to lie in interviews. London - A senior director at the NHS has been jailed for exaggerating his qualifications during his job application. In January 2007 Lee Whitehead was appointed director of planning and modernisation at Stoke-on Trent Primary Care Trust (PCT) after falsely claiming that in addition to being a member of the British Psychological Society (BPS) he had a first class bachelors degree, a Master’s degree and a doctorate, when in fact he only held a second class BSc in Psychologyand was not a member of the BPS. 6 months after bring appointed Mr Whitehead resigned his £78,000 a year job after suspicions were raised by a coworker and Mr Whitehead was unable to provide proof of his qualifications. The court handed out a 12 week prison sentence after Mr. Whitehead pleaded guilty to obtaining a pecuniary advantage by deception and making a false instrument. HANOI, Vietnam -- Manpower Inc., a world leader in the employment services industry, announced today that it has been awarded its license for permanent employment services by the Hanoi People Committee, making Manpower the first 100 percent foreign-invested employment services company to enter Vietnam. "It's an honor to be the first global organization awarded this privilege -- a key role fueling the growth of Vietnam's actively evolving labor market," said Jeffrey A. Joerres, Chairman and CEO, Manpower Inc. "Offering a more robust workforce solution in Vietnam -- and across the Asia Pacific -- is a key part of our growth strategy, allowing us to better help our clients increase their productivity and win in the changing world of work." We invite you to pull up a chair, grab a latte and take a break and join us in The Background Bistro. 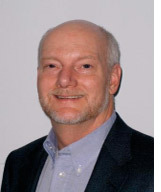 This week’s guest is - Jerry Thurber, President of Fetch Technologies’ FootPrint Group. 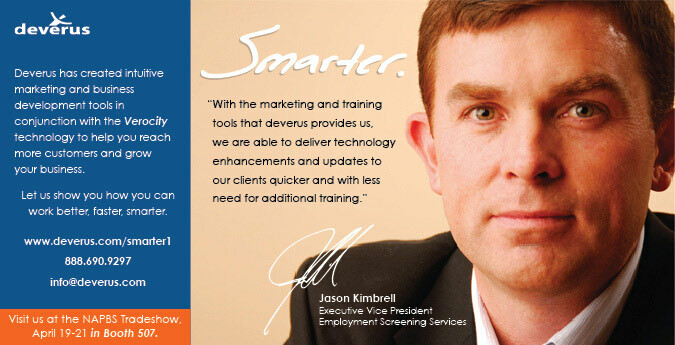 Jerry has always had a strong interest in technology and has been working in the field his entire adult life. While fresh out of college, Jerry, wanted to see how technology could change the landscape of business. His first job allowed him to develop products within the technological arena and much of his work dealt with developing a product that would work more efficiently with developing technology. He worked for Avert, a background check company and helped them re-engineer their business. While working at another background screening firm in 1996, he joined the ranks of those impacted by an industry acquisition with ADP acquiring his company. In March of 2008, Jerry left ADP and began working at Fetch Technologies. Fetch Technologies makes the process of extracting information easier and more efficient for their clients. Their solution-based approach allows data to be collected from web sites, the Internet, date bases and other tech-based platforms. While Jerry’s job keeps him quite busy, he certainly finds time to have a life outside of Fetch including spending time with his wife of 26 years and has two children. In addition, he stated, "I let the steam off in a variety of ways." One of which is spending his free time volunteering for the youth services and sitting on boards of several not for profit organizations. In addition, Jerry is a very avid hiker, skier, camper and all around outdoors man. "Rocky Mountain National Park is less than a mile from my house, I love to cross country ski and snow shoe up there. I ran several marathons in my twenties, but now I just stick to half marathons." When not roughing it in the outdoors, Jerry says "Although I like a lot of different types of music, if I had to pick one it would be jazz. I also like any type of rock that was created before 1980. One of the Highlights in my life was seeing the Rolling Stones live, that was a great show. I have also seen them on IMAX. The rest of my live music experiences have pretty much been at coffee shops." As with many of the executives we profile, Jerry gets his fair share of traveling in, both for business and for pleasure. He recently returned from Spain and finds France to be his favorite destination. "I am not sure why, but I love Paris," states Jerry. With the explosion of information firms like Fetch are being utilized by companies all across the country. Not only is technology booming, but the information is growing by leaps and bounds. This information needs to be filtered and broken down in a manner that is useful to end users. Jerry explains why a company would use the services of his firm stating, "With all the information on the Internet these days, what you get will either be valuable or useless. What we do is try to make the information valuable. Information from Facebook, Myspace etc., is almost voyeuristic by nature. Once you get into the next level of information acquisition, that is where you will find more useful information, and this is where Fetch Technologies comes in." Of course serving as the President of Footprint, the information division of Fetch Technologies, comes with a considerable amount of responsibility. Jerry’s day-to-day duties are instrumental to the success of its clients. "I am the person that bridges the gaps between science and solution. I am all about the art of the impossible. Really I am here to teach people how not to be afraid of data, information and technology. For me creating solutions is helping our clients understand what we do and not fear it," says the father of two. Knowing that this is a very competitive industry, there are several things that Jerry and his firm have to do to stay ahead of the competition. Jerry, who has a Master’s degree in International Business, states, "I think generally companies have two problems. The first one is that they get too wrapped up in how smart they are, but are not always very practical in their execution. The second is that, many companies tend to rest on their previous achievements and sometimes become arrogant. Just because they have a product that people are buying does not mean you don’t mature and change with the times. In this fast paced world of technology, if you do not keep inventing and re-inventing your business, processes and tools, you will get left behind. From the companies that have used Fetch in the past, the feed back has always been great. Many of Fetch’s clients feel that they got much more than they expected. "Our clients often state that our products brought immediate results and that they were very impressed with the people that they worked with on our team." When asked if he could look into a crystal ball to see the future what would he see, Jerry answers, "I see a marketplace of resources where people freely exchange talents. The traditional corporation where the majority of the work is done by employees will be replaced by a world of talent deployed for the hire. I think that in the future only 20%- 30% of any corporation will consist of traditional employees and the rest will be virtual talent pools. There will be a host of companies, such as Fetch, that will lead the way in building the tools to accomplish their goals. " INFORMATION IS POWER. Join your peers in participating in ERC Dataplus' second industry-wide survey by Clicking Here. All responses are confidential and an Executive Summary will be distributed to all participants prior to the April NAPBS Conference. How the economy is impacting others in the CRA Industry. Actions others are taking in response to the economic situation. The primary services producing revenue. And other relevant and pertinent issues to those in the CRA Industry. Thank you, in advance, for your help. If you have any questions, please email me at carla.knoll@SelectechPowered.com. Carla Knoll, Vice President-Business Development, ERC Dataplus, Inc.